Historic Buildings of Center Harbor. 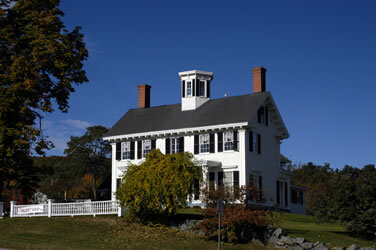 The Village District of Center Harbor contains 13 buildings listed on the National Register of Historic Places. The CH Historical Society has published a brochure which offers a walking tour of the district. Copies are available at the Library. The Dearborn Place (1867). A 2.5 story Victorian home (2) with attached carriage house built by Charles Dearborn. Currently, it serves as an office for Lamprey Real Estate. The Sutton Place (1860-1878) and Longwood Barn (1876). Built by Ebenezer Sutton, the Sutton Place (3) is a 2.5 story mansard with an attached carriage house. It was restored after a 1993 fire and is now a bed and breakfast. The nearby Barn (1) was owned at one time by railroad publishing magnate G. W. Armstrong. 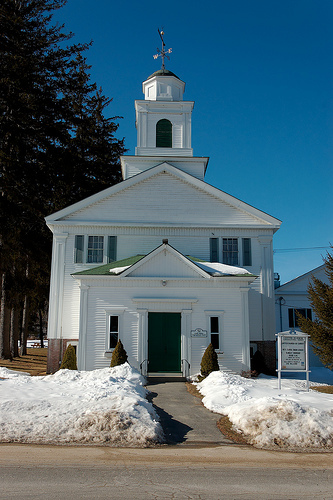 The Congregational Church (United Church of Christ -1837). A classic white frame New England church house. Land for the structure (5) was given by John and Lacinia Coe in 1837. The vestry and front vestibule were added in 1885. The structure was raised so the vestry could be built underneath the main hall. Site of The Senter House (1830). The land now occupied by the Post Office (6) and Town Office (7) was once the site of the three story Senter House Hotel. Until it was destroyed by fire in 1887, it provided residence for vacationers and travelers. A livery stable, which also occupied the site, burned in 1963. Several other large hotels once graced the Town Center, none which are presently standing. The Colonial, located near the Heath Store/Bayswater complex, burned in 1919. The four-story Moulton, up Plymouth Street from the Library fell into disrepair and was torn down in 1951. Across the street from the Moulton was the Garnett Inn, which existed in various configurations (The Graves, Independence Hall, Lamprey Hall) until its purchase by Belknap College in 1963. In 1995, it, too, was torn down. 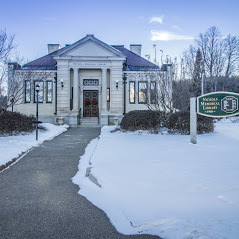 The James E. Nichols Memorial Library (1910). Neo-classical structure (8) designed by Charles Brigham, a noted Boston Architect. Mr. Nichols conceived the library as a family memorial. He gave the land, the building and established a trust to guarantee for the future of the library. The Heath Store No date. Heath’s (12), now located in the Senter’s Markeplace complex, supplied flour, sugar, seeds, yard goods, kerosene and tobacco to residents. Today, the building is home to several shops, including the Yikes Gallery, Scissorology and The Bay. The Town Watefront. In the 1880s, tourists arriving at Alton or Laconia could catch a steamer to Center Harbor and its many hotels. The waterfront (16) is still a stop and a winter port for the MS Mt. Washington. 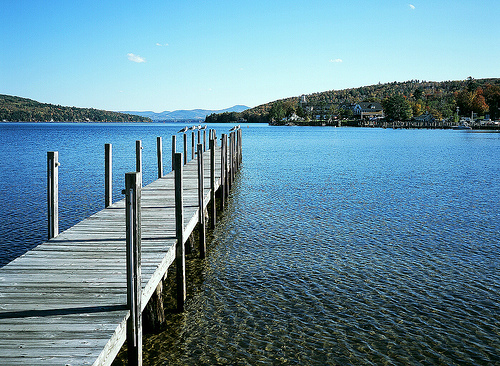 The docks serve a host of small craft and the town beach is enjoyed by bathers and picnickers. The Coe House (Glencoe). 1820-23. The origianl structure (11) was enlarged and given a Victorian makeover by Daniel Coe in 1850. Presidents Grant and Cleveland were entertained there. Now, it is the site of Lavinias Restaurant. 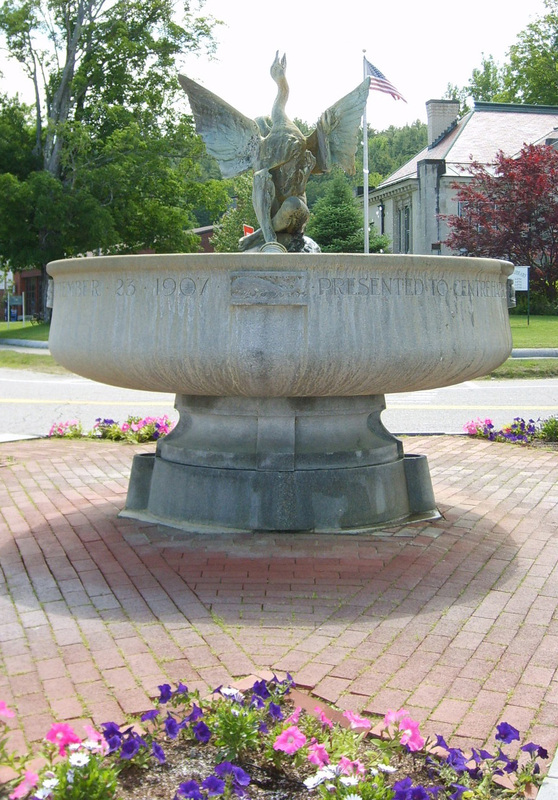 Leonard Morrill Memorial Park(1952). Originally part of the Moulton House property, the land (13) was donated by the Dane family as a memorial to this much loved country doctor.